with the packing, moving, painting & the HUGE order i had to prepare this weekend, (30 cookies, 50 cupcake buttons, 25 wish tags, 2 felt birds and a couple of custom signs), there has been little time to just breathe. easter sunday proved to be quite "unconventional" this year. 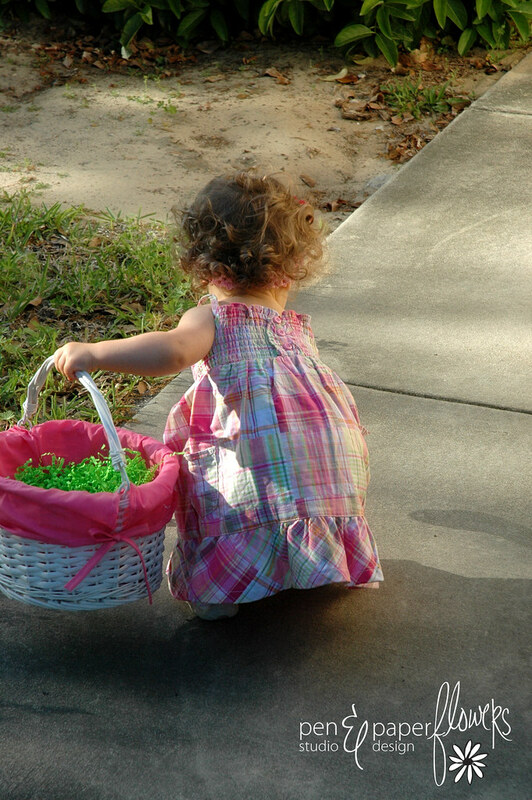 this year there was no "easter feast" with extended family. and just the 5 of us. 9 eggs for ella to hunt. 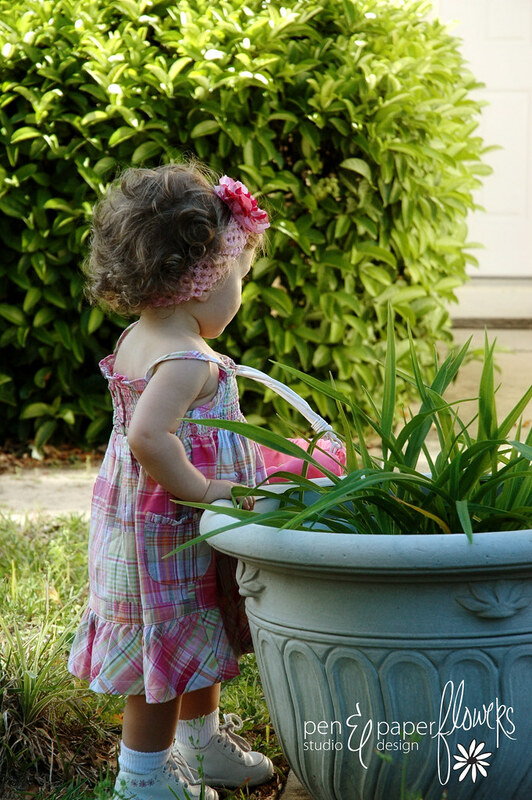 1 $5 golden egg & 1 $2 silver egg for clara & ema to find. 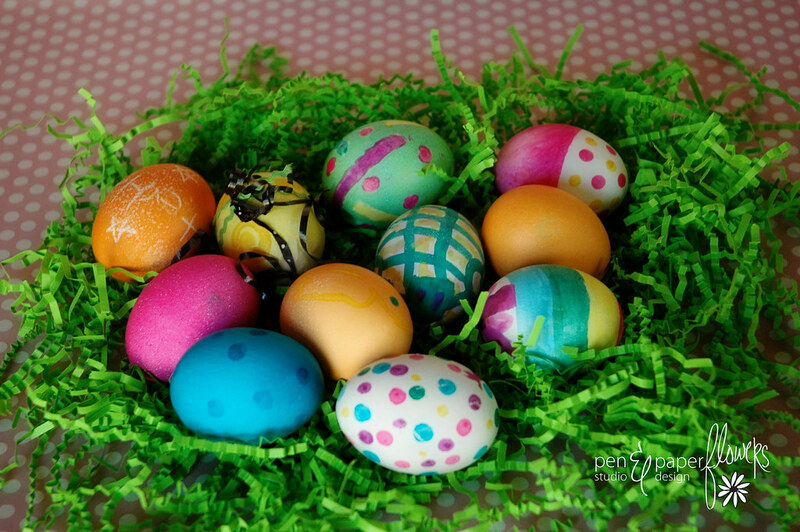 my 11 year old ema did the photo shoot for these finely decorated eggs...awesome job! the golden egg was decorated by 13 year old clara...it's the yellow one with ric rac & ribbon added to it. the silver egg was created by ema...it resembled a turtle and it's the striped one in the middle. otherwise she probably wouldn't have gotten a dress either - lucky girl. 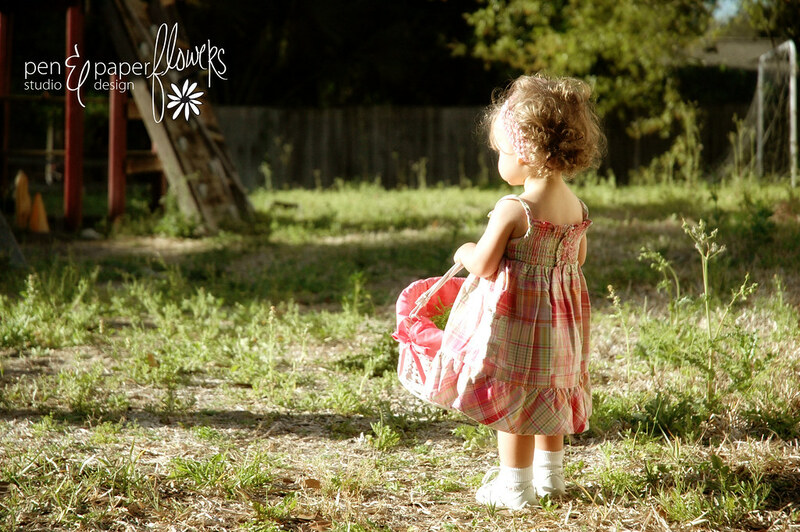 lush fields of green grass for egg hunting? just a bunch of weeds for ella to dodge. that would be a "no". 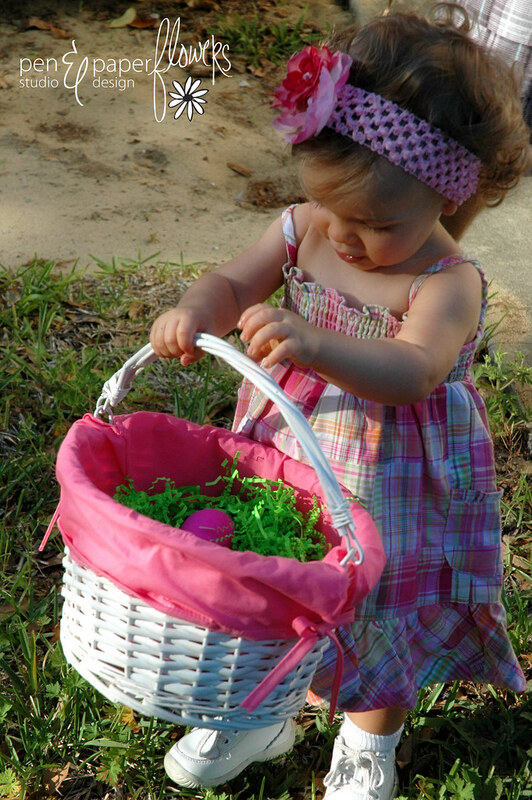 unless you count the photo shoot ema did for the easter eggs? 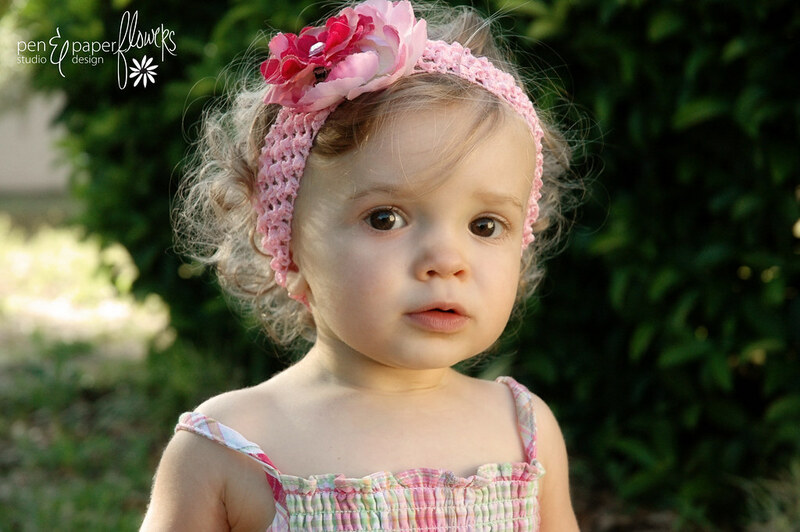 it was ella pie who was lucky enough to have pictures taken. 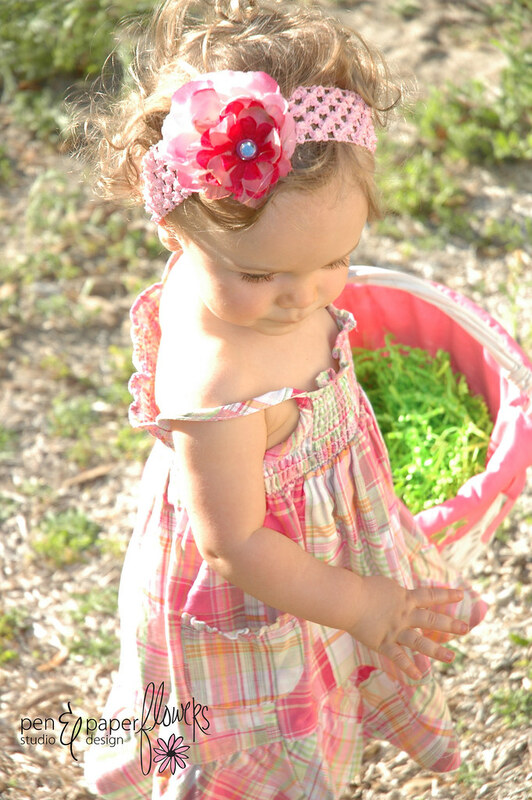 it WAS her first egg hunt you know!? although i spent a few moments beating myself up for feeling like i'd failed. i reminded myself of the chaos we have going on. i'm sure it's one we won't forget. we've got another week of packing preparations. the official "move" is this saturday. you know i've been wanting to try them out anyway. i just used easter as the excuse to push myself to do it! to avoid your decorative paper from becoming soiled. (i made sure to note the dimensions and hope to post a template for you...soon)! I just love your work and your site. Thanks for sharing all of this fabu stuff. 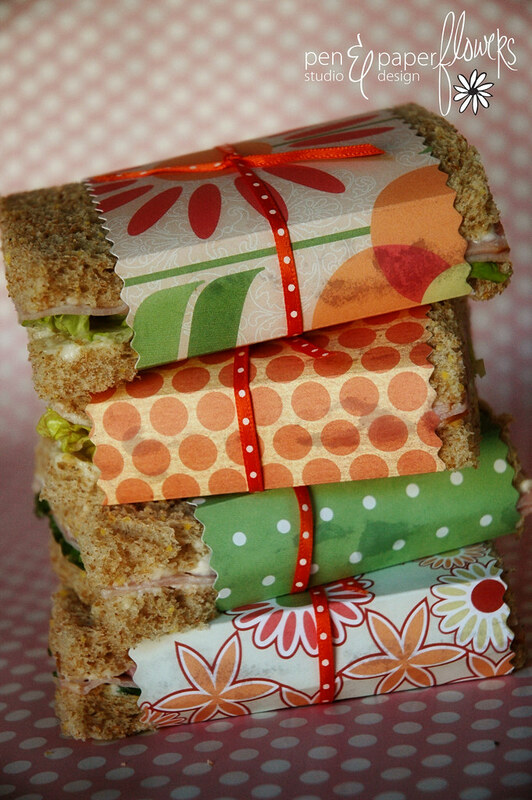 Love the wrapped sandwiches, and your little girl...ADORABLE! 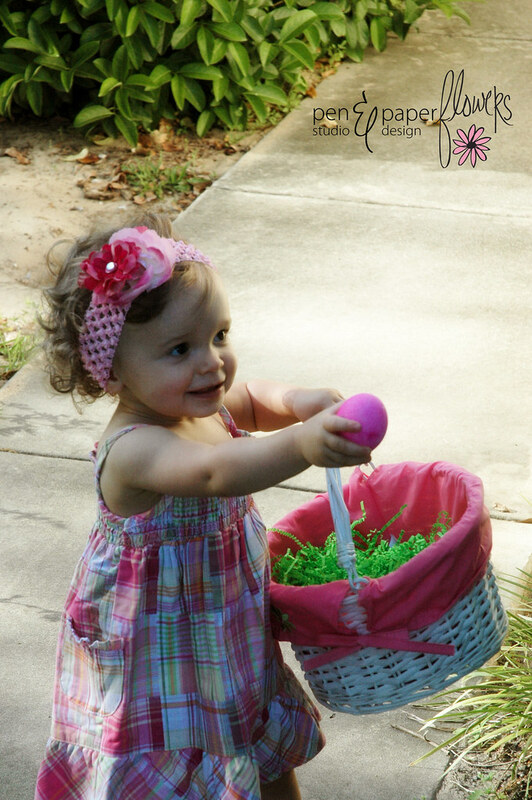 Loved the pixs of Ella hunting for eggs and big sis did a great job on the hard boiled eggs!